Make a fun festive Cookie plate! Ages 6+. $30 per painter (plus tax). 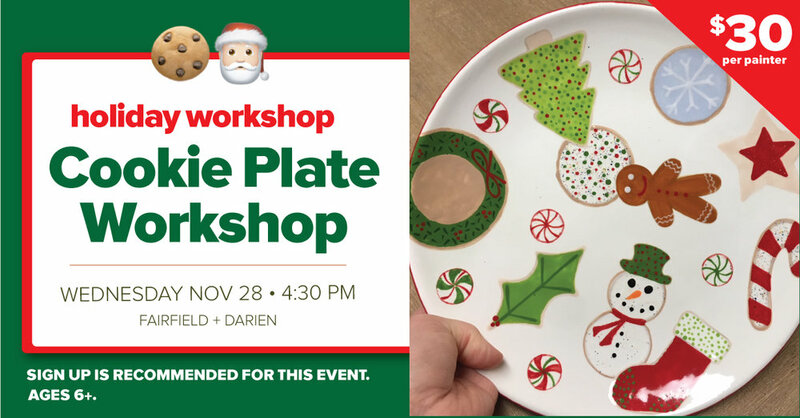 Thanks for signing up for our cookie plate workshop! We’ll send a reminder a few days before the event!